I’ve always thought of the right-leaning media critic Dylan Byers as the counterweight to left leaning WaPo media critic Erik Wemple. Given how many Republicans CNN has hired as contributors lately, I wondered if that might have played a role in hiring Mr. Byers to offset the perceived liberal bias of Brian Stelter. But that’s just me. I’ve been wrong before. 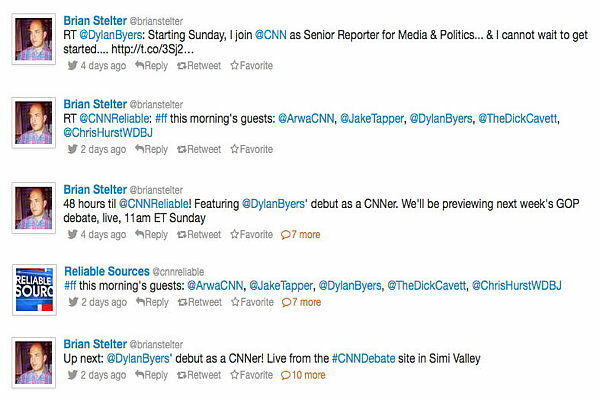 If Byers were a right-leaning media critic, no way would he be palling around with Stelter.